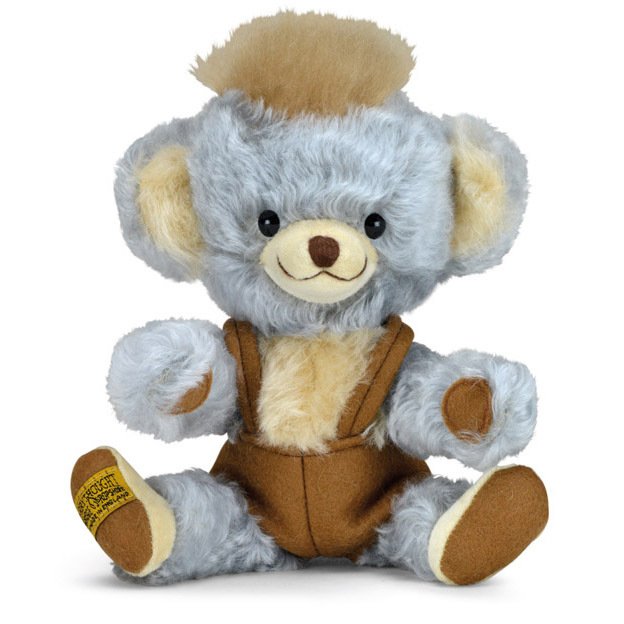 A charming character dressed in milk chocolate coloured, felt dungarees that really enhance the dusty blue and rich cream hues of his mohair. He has a cream velvet muzzle and feet and brown felt paw pads. Vincent’s dungarees are removable.